Our Mushroom popcorn has a large, round and puffy ball shape. Mushroom popcorn kernels are less fragile than butterfly kernels so they are ideal for holding toppings, glazes and chocolate. 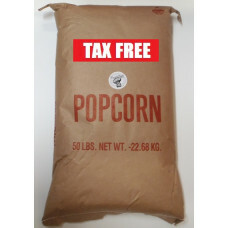 All caramel, toffee, chocolate-coated popcorn and kettle corn are made with mushroom popcorn. 10" x 10" x 21"